John Nost Sartorius was the son and pupil of the sporting painter Francis Sartorius, (1734-1804) whose style is very similar to his own. A prolific painter of every aspect of the country life and rural sports, Sartorius has left us with an evocative record of the sporting life of the late Georgian era. Like his father (and, to a degree, his own son John Francis Sartorius) he was itinerant, and his paintings are to be find in very many country houses the length and breadth of England. 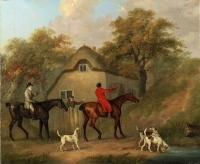 He painted many sporting scenes for clients whom he met at the Newmarket races, and his clientele numbered many of the most famous aristocratic sportsmen of his age: Lords Derby, Foley, Kingston, the breeders and trainers Christopher Wilson and Sir Charles Bunbury, and grandest of all, The Prince of Wales. His paintings are as popular today as they were in his own lifetime. 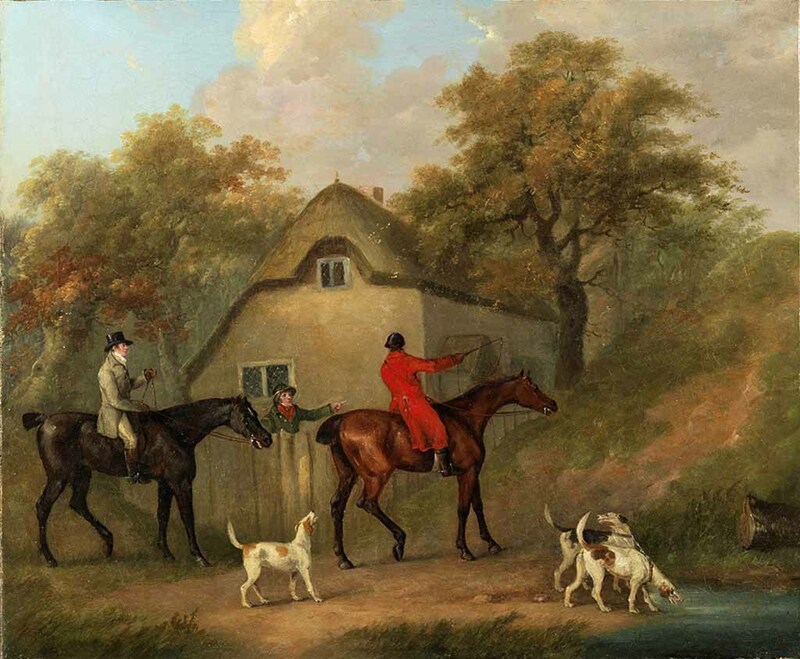 Despite the exclusively rural content of his paintings, Sartorius lived for the greater part of his life in Soho: in 1787 John Nost Sartorius was living at 2, Spur Street, Leicester Square, where he was joined by his father. In the present painting, which dates from the artist's maturity, his technique had moved on from the more naif style of his father, and is considerably more refined than in his early works. Late in life when he moved to the then near-rural delights of Kennington, where he died in a house near the famous cricket ground, the Oval. Despite a life’s work of prodigious productivity, his estate was valued at only £20 when administration of his will was granted to his son John Francis Sartorius.